It has been an integral part of the new apprentices at Carl Stahl for years: the introductory week at the official start of training. It is only one of many measures that have since been established with lasting success. The company has set itself the goal of counteracting the shortage of skilled workers by providing exemplary support for its own junior staff. In principle, Carl Stahl offers a wide range of opportunities to start your professional life at an early stage. We currently have around 53 trainees and students in a wide variety of occupations at all locations throughout Germany, explains HR Manager Carola Gärtner. The spectrum includes training occupations in the commercial, industrial and technical areas. In addition, Carl Stahl offers dual courses of study in the fields of business administration, mechanical engineering and industrial engineering. In addition, students can gain their first professional experience in our company during an internship. Students from various disciplines also have the opportunity to complete an internship or a practical semester. The foundation stone for a good start to a successful career is laid at Carl Stahl during the annual introductory week at the company headquarters in Süßen. 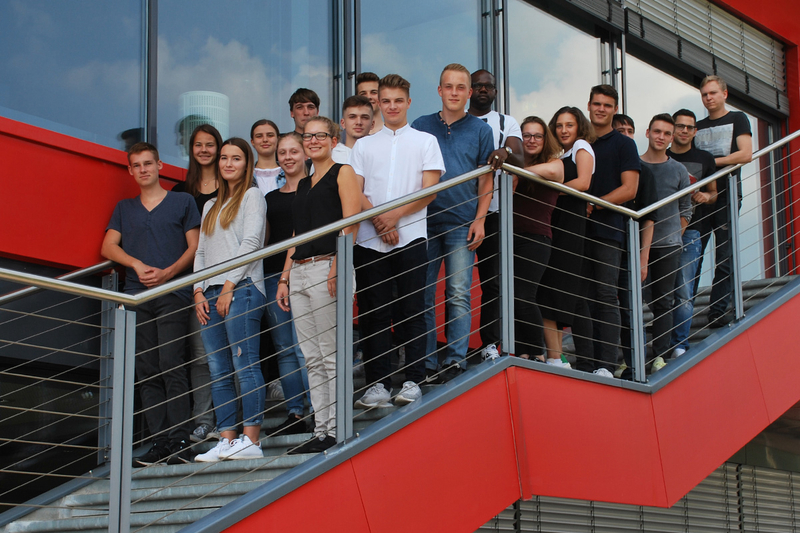 On September 3, 2018, 20 new apprentices from various locations started their training or dual studies at the Carl Stahl Group. The aim of the annual introduction week is not only to get to know their new environment but also each other. The aim is also to promote a sense of community and identification with the future company. In addition to informative training courses and seminars, many exciting activities were on the programme - including getting to know the senior Chef´s Mr. Willy Schwenger, guided tours through the individual company divisions and the in-house museum, a scavenger hunt, as well as teambuilding measures. A special highlight was the joint trainee excursion to ExitGames in Stuttgart, in which all trainees traditionally took part. For Carola Gärtner, the advantages of exemplary support for her own junior staff are obvious:With our commitment we are actively counteracting the shortage of skilled workers and profit at the end of the training from optimally trained skilled workers who are not only very familiar with their colleagues but also with our company and our products. Right from the start. New apprentices and students 2018.